I am closing out my weeklong tribute to my colleague and friend, Satyros Phil Brucato, with one of his most proud accomplishments. This revival of one of the most intriguing and perplexing games ever crafted for the Storyteller system gave Satyros a chance to really put his mark on things, and once again his mastercraft abilities with all things modern/urban fantasy shines through. I know my Belovedest, Carinn Seabolt, cannot say enough wonderful things about this game – probably her favorite gaming experience of all time, actually. One of the first things Satyros Phil Brucato put out with his new Quiet Thunder Productions company was this system-agnostic* gem. 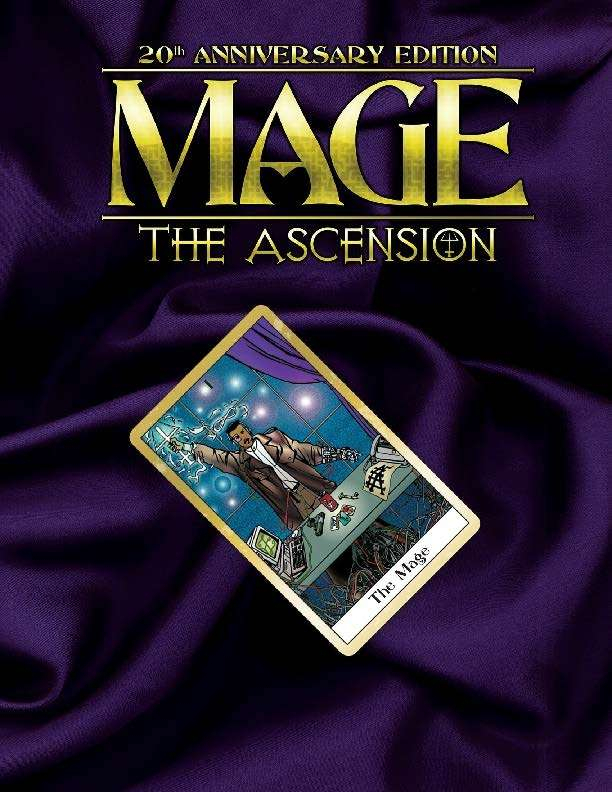 It’s strange, eldritch mercantilism saturated with magical story and overflowing with adventure. It’s mysterious arcanery as only Satyros can do it. (*) – Yes, it was originally crafted for Deliria, but it’s wide-open for use in any fantasy or urban fantasy setting. In a world where commerce is magical, what’s the cost of desire? Explore Qwest-Mart, Wicked Jerry’s, Shae Bal Marah, and other strange places. Maybe you’ll find out – if you can meet the price! 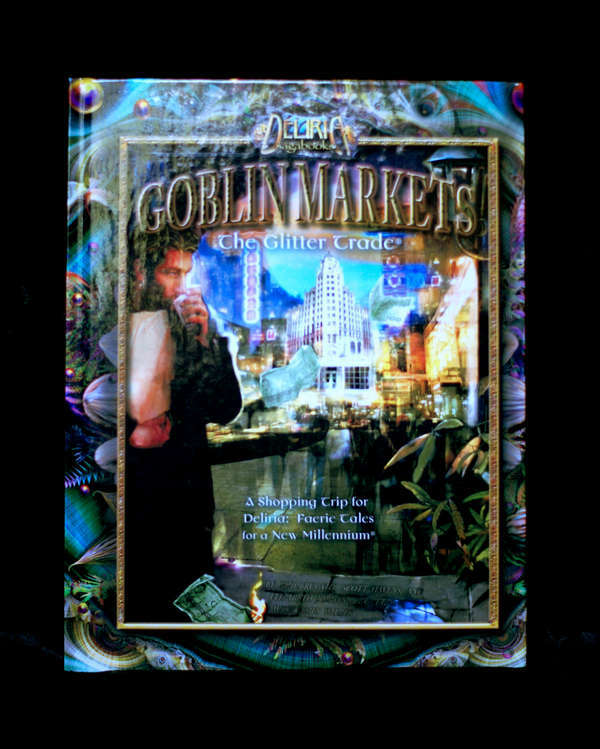 A setting, character, story and rule supplement for fantasy gaming sagas, Goblin Markets: The Glitter Trade features mysterious markets, uncanny merchants, magical treasures, and far, far more. Ian Lemke, and Ethan Skemp, Phil helped create a world-within-a-world as the East entered the global game played by the Kindred. Combining exceptional history lessons with fascinating new mythology, this book took Vampire games in whole new directions. For centuries the exotic realm of Asia has defied the Kindred’s incursions. 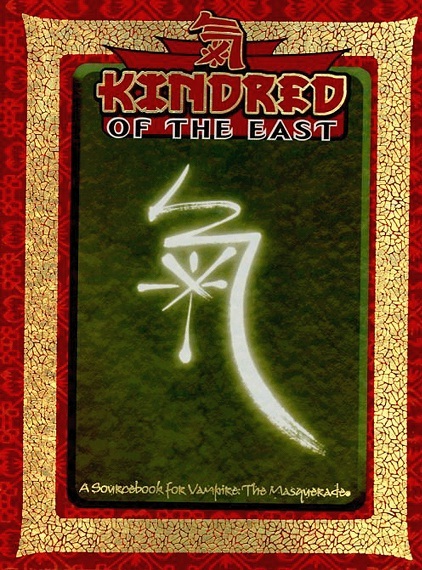 Those few Children of Caine dwelling in Asia whisper of the monstrous Cathayans–the shadowy vampires native to the East. For too long the Cathayans have lain like sleeping dragons, allowing the Kindred a facade of omnipotence. Now, the new Age is at hand; Yin-daggers tremble in the talons of the Resplendent Cranes, and the Devil-Tigers howl for souls in the dark. Making games for a living is fulfilling and wonderful, but it’s not the kind of career that prepares you for financial crises brought on by medical trauma and the subsequent bills. The folks at Tricky Troll are offering you an incredible deal on all of their products – 21 titles in all – for 50% off. They are doing this to raise money to pay the incredible bills come due for saving the life of their child. Get some great gaming material for Savage Worlds, the Black Hack, and system-agnostic gaming while helping good folks out. My son Zac was born a day before we were scheduled to induce, at less than 4 pounds. He had several unforeseen complications and spent a week in the NICU before he was big enough for us to take home. The doctor said that if he had been born a day later he probably wouldn’t have made it at all. He is a very happy and healthy baby now, but unexpected complications mean extra bills. For this reason, everything in the Tricky Troll Games catalog is included in this bundle at 50% off as we try to raise some extra money to pay his medical bills. Take a look at our wares and if the contents interest you please consider a purchase. 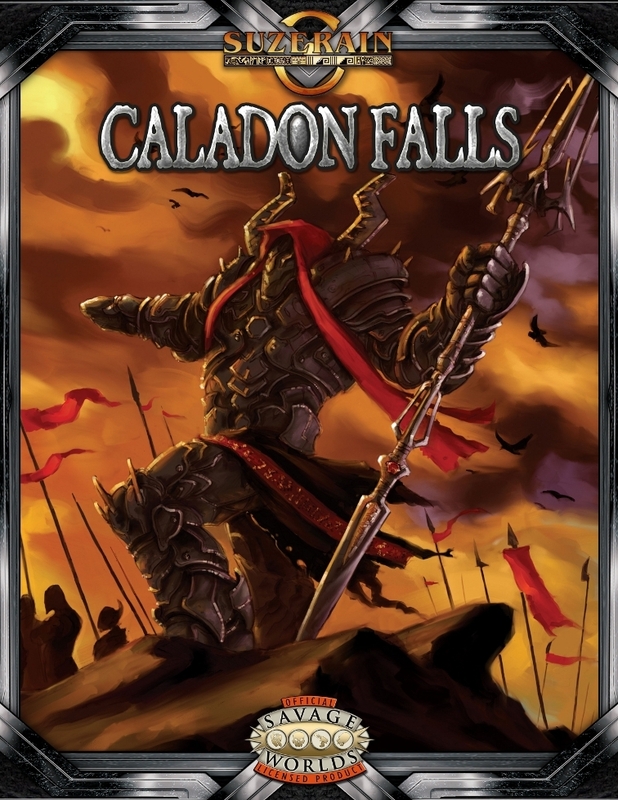 We continue the celebration of my friend, Satyros Phil Brucato, with this gem from Savage Mojo for Savage Worlds fans – Caladon Falls. One of the many fascinating realms that comprise the Suzerain Continuum, this epic fantasy setting includes the writing and design talents of Satyros alongside folks like Vickey A. Beaver, Steve Dean, Curtis and Sarah Lyon, John Wick, and Dan McGirt. The entire premise is a world at war, and you must brave through being on the losing side and figure out a way to survive… and to win. They came out of nowhere and started ripping the world apart, one city at a time. Using power on a scale never before seen, Warlocks, godlike leaders of the Wild army, are rampaging on Austeria with one goal: raise armies and annihilate the entire continent. Set in the fantasy realm of Relic, this book looks at warfare through the eyes of everyday people turned soldiers – soldiers whose side is losing the war. * Heaps of world detail you’ll need to run games in Suzerain’s Relic realm during the War of the Wild. 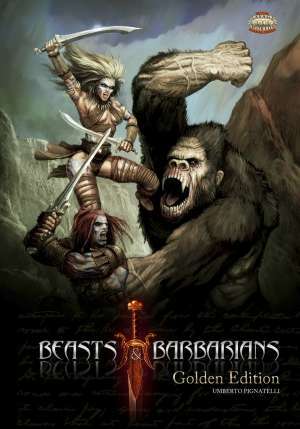 * Over 50 new Edges, Hindrances, and Powers, including three new playable races. * Stats for dozens of heroes and villains alike, plus an assortment of soldiers and monsters from the war. * A finely-tuned setting in which to take your characters from Novices to Heroes. * 30 scenarios including a full plot-point campaign covering the arrival of the Warlocks and the fight for survival in the Caladon Kingdom. This is a high art product and a large download. A copy of Savage Suzerain is recommended to get the most enjoyment from this book. The release of this long-awaited magnum opus by my amazing and soulful friend makes it Satyros Phil Brucato Week here at the SPOD! No one grocks urban fantasy with more understanding and passion than Satyros, and this book is his paean to the night world of music and madness that he’s inhabited for so long. Keep an eye out for other masterpieces by this Bard of Dice and Dreams. There’s no such thing as “easy” in the music world. Every gig’s a battle, and the folks who dream big and live large are the only ones left standing when the morning comes. But for the these kings and queens of the nighttime world, music is Divinity – a cruel yet irresistable god whose touch drives artists gleefully mad. To feel that blessing, you’ll push yourself and everyone around you to the edge… then over it… into bliss, ruin, and each sensation in between. 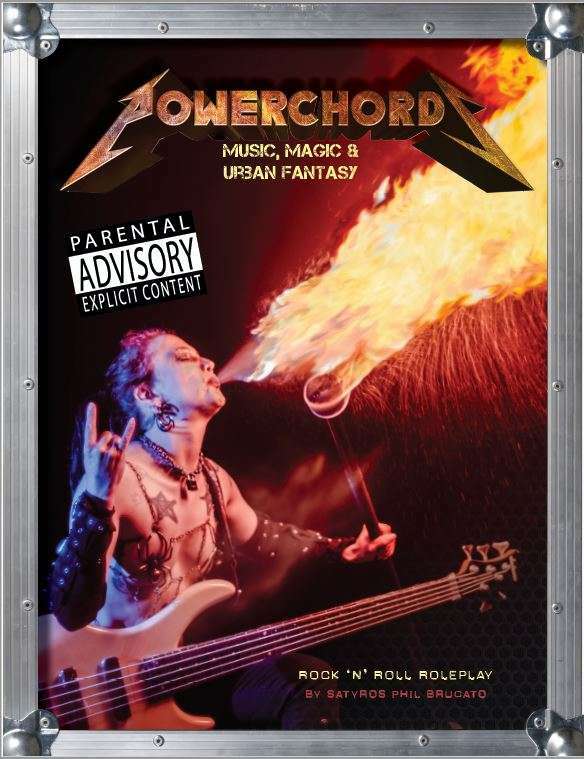 From the creator behind Mage 20, Deliria: Faerie Tales for a New Millennium, Mage: The Ascension, The Sorcerers Crusade and more, Powerchords takes you and your friends into the wild realm of mystical musicianship. An “open system” rulebook for story-telling games, this tome of rock ‘n’ roll roleplay riffs on the adventures of real-life music culture, then cranks up the volume with life-thieves, demons, earth angels and wild beasts. Head, heart, guts and groin, this book rocks like nothing else around. As the horde swarms forward for Positively Barbaric! Week, it crashes through the savage lands of Primeval Thule. Written and designed by WotC alumni Richard Baker, David Noonan, and Stephen Schubert, this one has serious pedigree, and it brings both sword-and-sorcery barbarism and strange eldritch horror and magic together in a particularly well-crafted way. This is the 5e iteration; there’s one for 13th Age, Pathfinder, and Savage Worlds (which me and Ross Watson helped with). 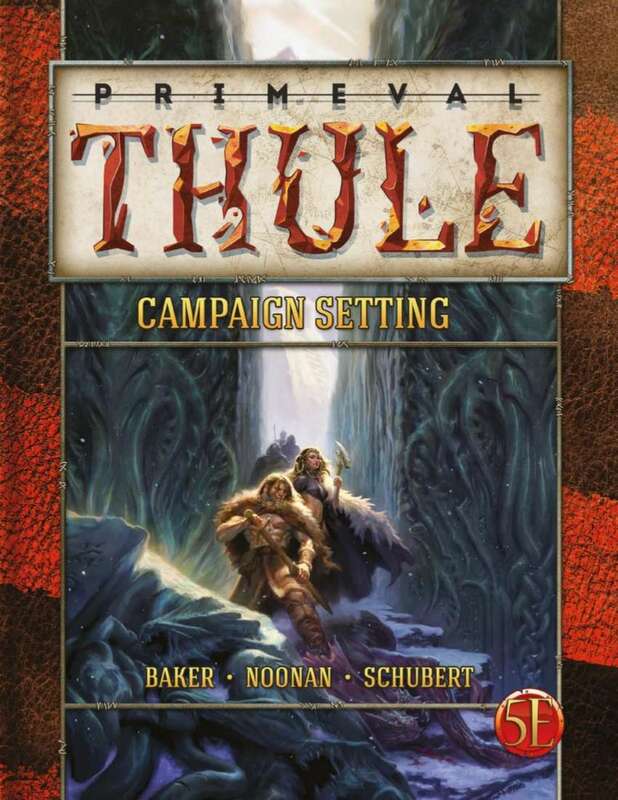 Welcome to Thule, a primordial land of fierce barbarians, elder horrors, and savage wilderness. In this ancient age, humankind is a young race, newly arisen on a monster-haunted Earth. Cities of cruel spledor lie scattered across the great lands of the north like a handful of gems strewn from a dead thief’s hand. Also check out the 5e Thule GM Companion, Player’s Companion, and Adventure Anthology, all also available in full-color softcovers! It seems Savage Worlds is just a great system for uncivilized gaming (must be the name, yeah? ), so here’s another Savage pick for Positively Barbaric! Week. This one is from my Polish friends at GRAmel, and it’s pretty much the definitive swords-and-sorcery setting line for the SW crowd. Welcome to the dangerous Dread Sea Dominions, a place where mighty barbarians do battle with hideous monsters, dark warlocks whisper terrible sorceries in forgotten temples and noble amazons duel in the sun-scorched arenas of Faberterra, capital of a decadent empire! 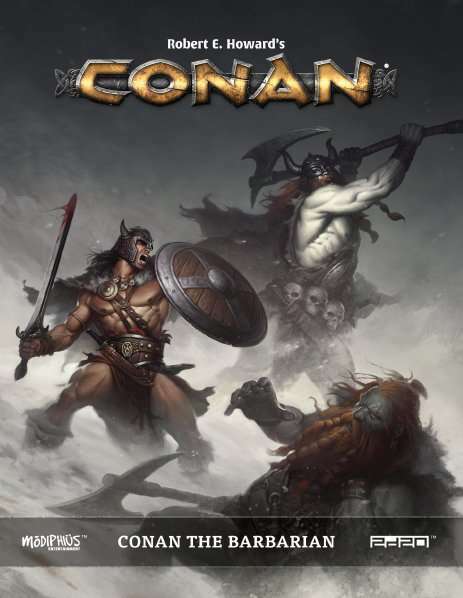 In this book, you will find a full-fledged Sword and Sorcery setting for Savage Worlds, complete with history, timeline and a detailed gazetteer full of adventure hooks. + …and much, much more! What are you waiting for? Gird your loins, ready your broadsword and prepare to face the threats of Beasts and Barbarians, the new Sword and Sorcery setting from GRAmel! It’s Positively Barbaric! Week here at the Pick, with a gaming stuff that focuses heavily on sword-and-sorcery flavor and a decidedly pre- (or post-) civilization aspect to the worldbuilding. Today’s Pick actually does some different things with this idea, including a strong steampunk aesthetic and influence, and the latter idea of a world that had plenty of civilization until that One Terrible Day. Be sure to take a look at the extensive product support they’ve crafted for this line across multiple systems. 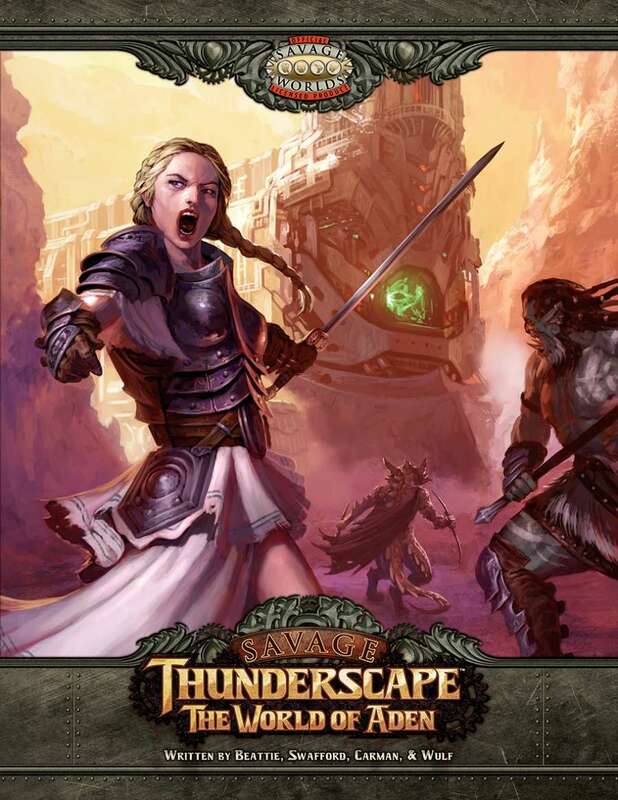 PS – My good friend Mark Swafford is one of the creators for this setting. In Aden, a thousand-year Golden Age of prosperity gave rise to an unprecedented development: the fusion of magic and technology into a unique discipline called mechamagic. Arcane power, steam power, and gunpowder changed the world almost overnight. The Golden Age ended, and the Age of Thunder began. It seemed that there would be no limit to the industry and ingenuity of man. Details on the different races of Aden, seven of which are new to this work! New Edges of all types, including new Arcane Backgrounds! New spells, new technology, and new equipment! 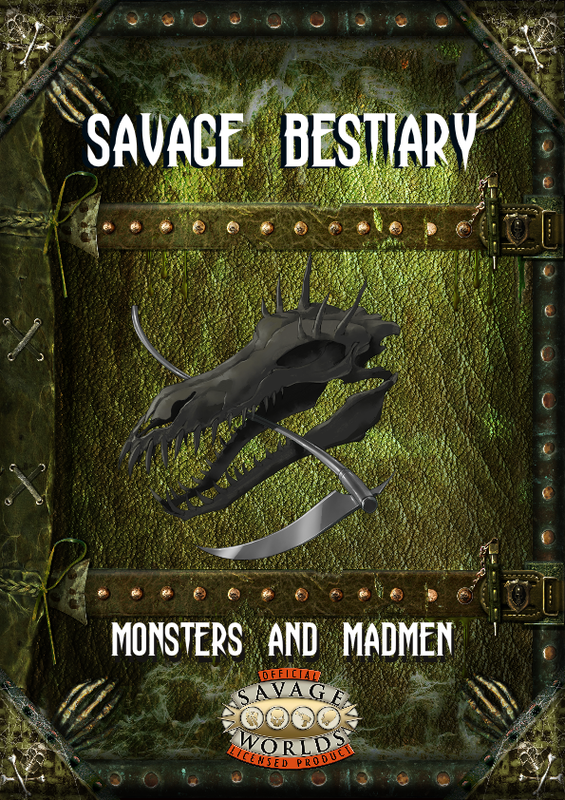 A sample bestiary of creatures from Aden!